The offshore outsourcing industry has exploded in the last few years. According to Forbes, it is the most significant business practice in the past year. Cost reduction and the availability of talented resources have made several global companies flock to offshore locations like India. There has been an evolution in offshore outsourcing as back office processes are no longer the only kind of work outsourced. Now, more core processes and specialized services are being outsourced to India as recognition of the expertise and skills available is growing. Outsource2india, located at Bangalore in India, has been an offshore outsourcing partner of choice for global clients since 2002. The O2I model endorses the trust that U.S. companies are placing in India and offers clients far more value than mere back-end processing services. A wide range of services are delivered out of Outsource2india's multiple delivery centers. O2I's team of certified professionals have competencies across a variety of domains and offer a comprehensive suite of services that include Data Entry Services, Engineering Services, Healthcare BPO and Finance & Accounting Services. Along with this upward spiral of success in outsourcing there is also bitter opposition, mainly from workers who have to tolerate the migration of work to offshore locations. Several politicians have entered the scene trying to appease them through legislation that will protect their jobs. However, this white paper shows the fear that is gripping the US is misguided. The author, Max P. Michaels, is the managing partner of CRYZTAL Capital, a corporate member of the US India Business Council and chair of the CEO Council of TiE Tristate. In these articles he supports the offshore outsourcing trend, illustrating through facts and figures how offshore outsourcing actually benefits the American economy and creates more jobs. The second article is of great value to Indian Service Providers as it gives an overview of the current scenario in outsourcing and how India can maintain it's competitive advantage by improving productivity. 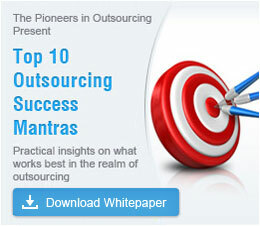 Contact Outsource2india for your outsourcing needs.